Dear Lord, heavenly Father, thank you for straightening out our minds and hearts, our perspectives and our hopes with your Gospel. Thank you for teaching us to be satisfied with Christ and the Gospel, the simple and pure things of life. I am content in your love and grace and truth. I pray that people across our land may make Jesus their all in all. Please bless the UBF International Summer Conference. Inspire us with the Gospel. Plant vision in our hearts through the messages and the testimonies of the missionaries. Now, I pray that you illumine my heart through this passage. I pray in Jesus’ name. Amen. How thirsty they were for God! The people begged to hear the Word of God. They followed Paul. The whole city came out to listen to the words of life. This is amazing to my ears. How can this happen? These are new converts. These are people who were not Christians previously. They were so hungry to learn about Christ and the Kingdom of God. Yes, today in the West we do gather large crowds, but let’s face it, most are not new converts. They are Christians already, moving around to other churches. I have heard of gatherings like this in other countries…mostly in third world nations. Once, a UBF missionary went to visit the village of one Bible student in Egypt. When the family discovered that the missionary preaches the Gospel they invited him to preach. 120 family members showed up. And they urged him to preach for three days in a row and each day 120 people showed up. Amazing! In the 1980’s, in the Soviet Union, I heard of preachers going there and preaching to overflowing crowds, where people had to stand outside of churches and peer in through doors and windows. People would spend 2 months wages to buy a Bible. In Northwestern Ontario, there was a wonderful work of God in the one Native Community in the 1950’s. The whole community committed their hearts to Jesus. Native Christian leaders were established and the Native Evangelical Fellowship of Canada was born. Here is an excerpt from the NEFC website concerning their origins, “The birth of the Native Evangelical Fellowship of Canada, Inc. (NEFC) came about as a result of missionary endeavor to Native peoples in the 1950’s. As Native men were won to Christ they were given Bible school training and encouraged to take Christian leadership. Native believers grew in their faith and soon saw the spiritual need among their own people. This need was not only in one reserve but also across the Dominion of Canada. In my heart I easily fall into despair about the slow progress of reaching the hearts of American young people with the Gospel of Christ. I find that a person can preach the Gospel and after 8 years of mentoring a person, that one person may give their hearts to Jesus. There will be more years of mentoring before that person will begin to live as a servant of God. It is slow going in the West. It may be because people are filled with so many earthly hopes. It may be because they are full of fears also and busy trying to make a living here. Whatever the reasons, we lack the large numbers of conversions in the West and we are seeing the conversions in the Second and Third World. The epicenter of Christian activity is definitely shifting to Asia, Africa and South America. But God can still work miracles. He is powerful and can transform peoples’ hearts. There can be a revival in our land. There can also be a revival once again in the hearts of the Native people in NW Ontario, like there was in 1957 in the remote community of Weagamow Lake Ontario. Our job is to believe and pray, love and serve and plant the seeds of the Gospel in peoples’ hearts. Then God himself will do his wonderful work among the people at home and abroad. As we know, where there is the work of God, there is also to work of Satan. In this passage, the Jewish leaders were filled with jealousy and began to talk abusively against Paul and what he was saying. Look at verse 45, “45 Butwhen the Jews saw the crowds, they were filled with jealousy and began to contradict what was spoken by Paul, reviling him.” When a person decides to make a stand and preach the Gospel, they must be ready to face opposition. There will be people who contradict what you are speaking about. You can be very careful to speak the right words and you will still be contradicted. This must not get you down. It is par for the course. If they rejected Jesus they will reject his disciples also. If you are sincere and being Christ-like, then rejoice that you are being persecuted for holding high the name of Jesus. If you are making foolish mistakes and holding onto and preaching something other than the Gospel, then rejoice in opposition, because these moments are now lessons in learning to be more Christ-like and Gospel centered. How did Paul handle the opposition? Paul was sorry that these jealous people did not consider themselves worthy of eternal life. They lost the opportunity. Paul was not daunted by the Jewish rejection; he saw a wider door. He turned to the Gentiles instead. Look at verses 46, “46 And Paul and Barnabas spoke out boldly, saying, “It was necessary that the word of God be spoken first to you. Since you thrust it aside and judge yourselves unworthy of eternal life, behold, we are turning to the Gentiles.” This was the will of God. Jesus came first to the Jews and then to the Gentiles. At first the Christian ministry was to Jewish people spread across the Roman Empire. Tens of thousands of Jewish people did believe in Jesus and became converts, but most rejected the Gospel. The Jewish religious leaders especially rejected Christ. They persecuted the early Christian church. But Paul saw this as an opportunity to turn to the Gentiles. Look at verse 46 again, ““It was necessary that the word of God be spoken first to you. Since you thrust it aside and judge yourselves unworthy of eternal life, behold, we are turning to the Gentiles.” The Jewish rejection, became the opportunity for our acceptance. Now the Gentiles, including myself, could be included into the family of God, by the grace of God. If it were not for Jesus it would be very hard to become a convert to Judaism. In Jesus’ time the Gentiles worshippers of God could not enter the inner courts of the Temple lest they be killed. Even today I believe a person has to approach a Rabbi six times and be rejected six times and then be accepted. Then there is a whole series of hoops to jump through, one of which is learning Hebrew. (Correct me if I am wrong.) Then a person would need to live with the label of being second class adherent to Judaism. It is not easy. I would have no chance to be part of God’s people. But because of Jesus and the Gospel I can be one of God’s people with eternal life in my Father God’s kingdom made possible by the grace of forgiveness. This brings up the question, “How long do we hold onto what we think is our mission field when there is no fruit being born and only continual opposition and rejection?” We can not be stuck in what we perceive as our mission. God had other plans for Paul and his company. They were called to preach the Gospel to the Gentiles. I was in Winnipeg where there was some fruit being born in the ministry, but not much compared to the sacrifices involved. We were in the heart of the Native neighborhoods. But instead of letting go of our focus we did not reach out the Native people in a focused way. We just changed our location to the University of Manitoba. There was not much fruit born there either and so people moved to eastern cities. We tried hard to not loose our focus. But did God want us to reach out the Native community while we were living among them? Is it right to always stay so focused that one is not free to follow the leading of the Holy Spirit? What if Paul felt this way when faced with opposition? He could have moved from one Jewish congregation to another, in one Roman city to another, never turning the focus of his ministry to the Gentiles. There will be abundant fruit born when we follow God’s will. Look at verse 48-49 again, “48 And when the Gentiles heard this, they began rejoicing and glorifying the word of the Lord, and as many as were appointed to eternal life believed. 49 And the word of the Lord was spreading throughout the whole region.” When we allow God to guide and work among us, there will be rejoicing and glorifying the word of the Lord and the word of the Lord will spreading throughout the whole region.We need to be very sensitive to the will of God and be humble enough and flexible and dynamic enough to follow it. KBC is reaching out to Rochelle. There are inroads being made in NW Ontario and Honduras and CzeckRepublic as well as other places such as the young people of Sycamore with the VacationBibleSchool. There are other inroads being made. The word of God is spreading though the region as we remain flexible and dynamic in following the leading of the Holy Spirit. Again there was opposition to their fruitful ministry. Look at verses 50–52, “50 But the Jews incited the devout women of high standing and the leading men of the city, stirred up persecution against Paul and Barnabas, and drove them out of their district. 51 But they shook off the dust from their feet against them and went to Iconium. 52 And the disciples were filled with joy and with the Holy Spirit.” Jewish persecution became more severe, and Paul and Barnabas had to leave, but the word of God spread. Everything was unfolding according to God’s perfect plan and they were full of joy as they held onto Christ. 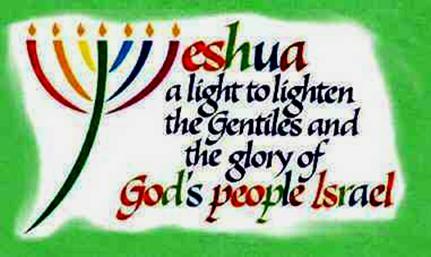 Prayer: Lord, let the light of Jesus shine through me to the ends of the earth. Help me not be discouraged by rejection, but to see your broader purpose and will and follow it.